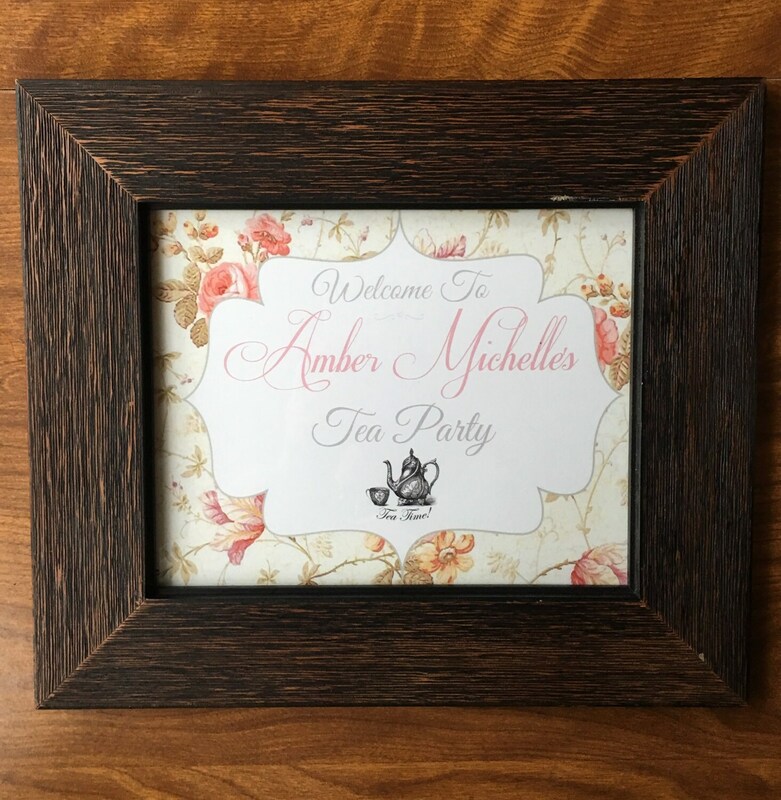 Tea Party Welcome sign for the bride to be, mommy to be, or birthday girl! This 8x10 welcome sign is printed on thick 110lb paper and is sure to look wonderful as a table centerpiece or an entrance welcome sign. This listing includes the 8x10 print and not the frame. Just include your colors when you order. The entire design can be changed, including the floral background to the color of your needs. Sign is very pretty! 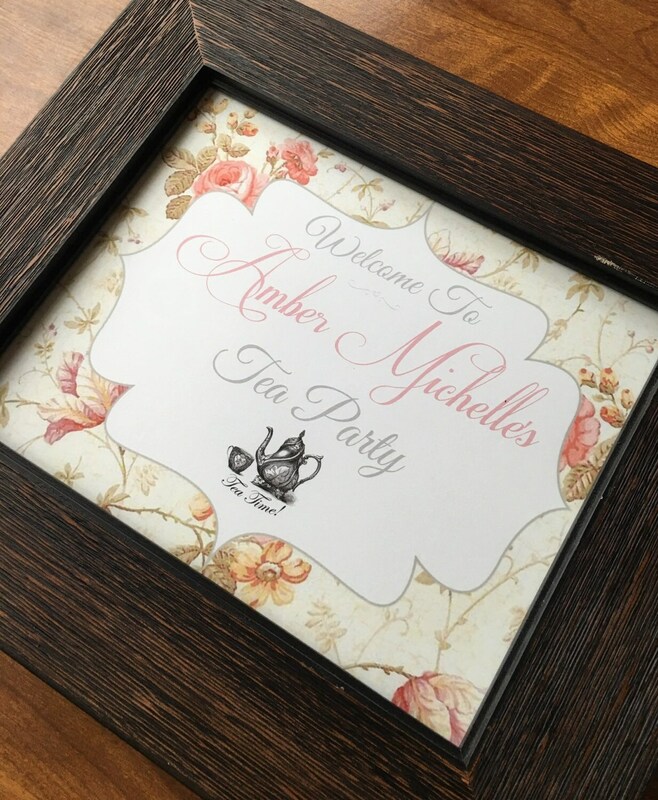 The perfect addition for a tea party shower! This welcome sign is on heavy paper and looks great! We plan on framing it as shown and hanging it by the door for our event! Just perfect! Also shipped very promptly! The sign is really nice looking, and I really appreciate that you were able to customize it for my event. Thank you!